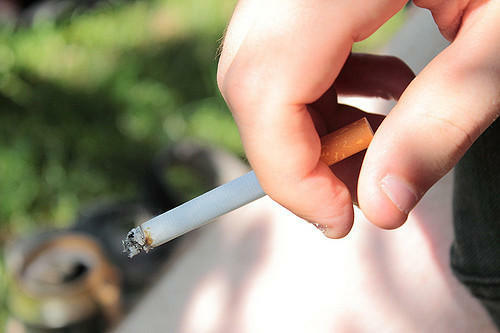 The legal age to buy tobacco in Illinois may soon go up from 18 to 21. The measure narrowly passed the Illinois House Wednesday night 61 to 49, after failing once before. State Representative Camille Lilly sponsored the legislation in the House. The Chicago Democrat says she talked to the people who’d be affected by the higher age. This comes more than a decade after state lawmakers banned smoking in most public places. Since then, cigarette prices have risen and public opinion on smoking has gone from bad to worse. Health advocates and even the military lobbied to raise the smoking age, arguing generations of teens have developed bad habits. In doing so, they say, those teens are now under-prepared for careers in the military. While many Republicans rejected the move, Rep. Tim Butler (R-Springfield) broke ranks. The Illinois Chamber of Commerce says Illinois could stand to lose millions of dollars in tax revenue. Other opponents echoed those sentiments, arguing a higher minimum age would send buyers — and their sales tax money — to surrounding states. Now that it’s passed the House and Senate, the measure now goes to Governor Bruce Rauner.